"All of the state's 21 municipal electric utilities belong to the South Carolina Association of Municipal Power Systems. Originally, SCAMPS existed solely to help one another during times of disaster. Although mutual aid is still the backbone of SCAMPS, it has expanded its scope to include legislative initiatives, public relations programs and training for electrical personnel." A quote from MASC Website. 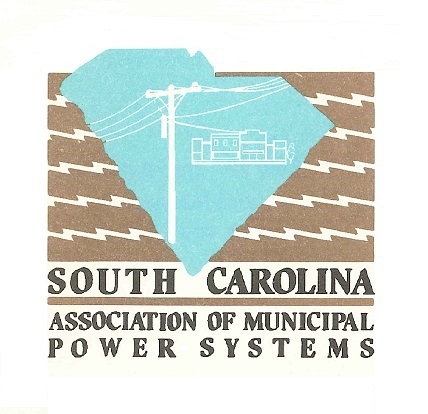 To learn more about SCAMPS visit South Carolina Association of Municipal Power Administration. The original fourteen members of PMPS were: Abbeville, Clinton, Due West, Easley, Gaffney, Greenwood, Greer, Laurens, Newberry, Prosperity, Rock Hil, Seneca, Union, and Westminster. In November of 1976, PMPS decided to become a state-wide organization, thereby increasing its reach and influence. Four members from the lower part of the state were added (Bennetsville, Camden, McCormick and Orangeburg) and the group was renamed SCAMPS. Eventualy, SCAMPS grew to include all 21 municipal power systems in the State. PMPA was formed in 1979, and its Members, remembering their roots, derived its name from the original PMPS organization.